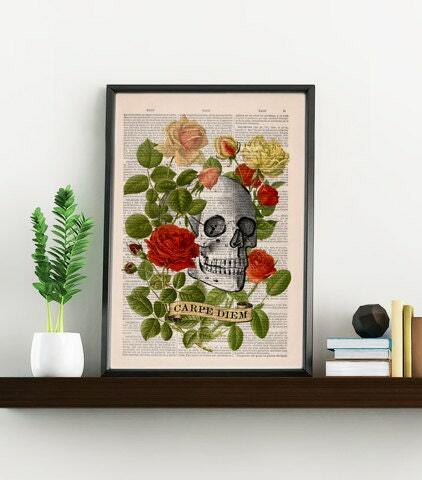 CARPE DIEM Skull with Roses and Banner with the words for "live your days" art collage printed on real vintage dictionary book page. Great condition! 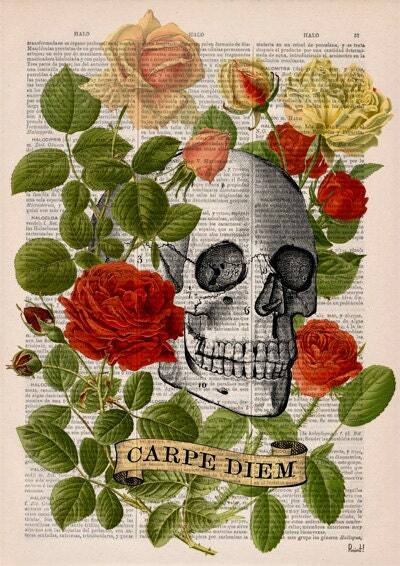 Really like the colors!